Praise the Lord. 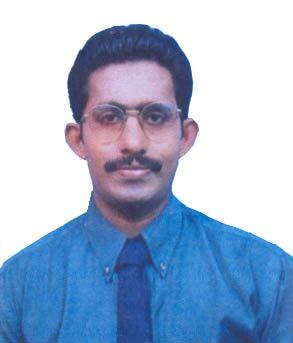 On 12th Sept 2006, I came to Libya from my own place Kerala, in India. I had joined in my duties and two weeks went very fast. During the two weeks, all my colleagues were making so many phone calls to India. But I was making less number of calls- because I loved my wife and children more than me and so I thought whenever making calls, the farewell pain will increase. Even on my birthday I didn't make a call to anyone.Instead of that I started praying Divine Mercy novena. But I am sure my relatives felt bad and may cursed me unknowingly because they didn't have any means to communicate with me in this strange place. When we are not rising to the expectation of our beloved people, we may become wicked in the eyes of God. Those days I was preparing for the important part of my life. On Sept 30, after the Divine Mercy Novena I finished writing of one article "Christmas-God is with us". Actually some of my theoretical comments in that article were changing to practical side. After that I made phone calls to all my dear ones in Kerala and spoke with them very happily. Then I was crossing the road near city hospital in Misurata (Libya). I saw one car coming from far. But it's speed was beyond my expectation- may be 140-160 Km /Hr. I crossed 99% of the road. Only a fraction of second was needed for me to cross the road completely. The car smashed at me. What I felt was only some darkness and something was happening. Really I saw the face of the Death for a moment. Just after that I was dragged away from the road by touching my lower chin. At that time suddenly I remembered my wife and two children at a glance. Later when I analyzed, God gave me the message that from the inner most part of our heart we have to give the first importance to God. Actually what happened to me? After hitting, I fell down on the bonnet of the car and then scrolled down to the side. It is the miraculous work of my God. If I was falling down in front of the car or scrolling down from the bonnet to the front of the car then there would be a definite chance of 100% death by the wheels of the car. "For I know the plans I have for you, says the Lord, plans for welfare and not for evil, to give you a future and a hope. Then you will call upon me and come and pray to me, and I will hear you (Jeramiah: 29:11,12)"
When I left Kerala my small son asked me "Father, whether you finished all your work here? Without finishing the works here, how can you go?" My small daughter by sitting in my lap told me " Father, Don't go away by leaving us here". At the time of my accident God remembered these innocent prayers of my children and gave some extension of life. God likes children and their prayers very much because of the simplicity and innocent natures. Just after the accident I was taken to the hospital in the same car – the accident took place in front of the main city hospital. I was conscious and unconscious in between. I was shivering a lot. It was a shock for me. I saw the face of the death. From that moment God saved me by His Mercy. When we are one more step closer to God, Satan will come one more step closer to us. But the same time God will come seven more steps closer to us. In a totally strange country; totally strange environment; totally strange language; none of my relatives or friends are near by. But God's love came at that time in the form of so many help from so many people including Indians and Libyans. After the thorough investigation, doctors told that there was no problem for skull or any other part of body except hands and legs. As I wrote in my article my existence is a great miracle. Because some doctors told they cannot believe only these much happened even after the accident by a very fast car. Accident shook my complete body. But the same time, God protected with His strong hand. From the top to bottom- from the starting point to end point every place is touched. There were fractures in the hands and legs. Also there was swelling and bleeding from the face. But nothing happened for my body and head. My mind was filling with thanks to your mercy O, Lord. Oh, God; these tears are the symbols of my thanks to your Mercy. I couldn't move my body without anyone's help. I remembered my family members and relatives; especially when they took me for operation. Knowing the softness of my mind, God arranged one Indian nurse even in the operation theatre especially for me in time. Afterwards I could know from her that it was little bit difficult form me to recover from the anesthesia state after the operation. I counted my main wounds as five. Then placed these five wound in the Five Sacred Wounds of Crucified Jesus. For me no one was there in this pathetic situation. But God arranged miraculously everything for me. Some good Indians who were having only a little contact with me; but they gave me food and all the other types of help for everything as my own people. Once I wrote " if we are helping some one, God will help us through some other sources at the right time at the right place at the right way". I really experienced it with billion percentage of interest. When I was in the bed, I was not willing to inform about the accident to my relatives. Instead of that through mobile phone I informed everyone that I was quite fine by His Grace, and requested their prayers. But my conscience was not allowing me to hide it from my wife. Because she is my own part and God gave me a matured lady as my wife. But how can I tell her from this distant place? God gave answer for that. One Indian nurse who visited me in the hospital introduced herself as the sister of my friend. She also told me that the next day she is going to India. Through her I could convey the incident to my wife. When myself and wife prayed together, my pains were decreasing and we were receiving abundant blessings – even though our prayers are from different parts of the world. When I was in the bed God gave His strong hands for my support- spiritually, mentally and physically. One doctor told that even in this pain this man is smiling always. That's by His Grace. Reason is "For with God nothing will be impossible"(Luke:1:37). The driver of the car of the accident was there in the hospital till midnight of that day. After that he was in prison according to the law. When his advocates came to me I told whatever my Dean's opinion that I will follow. The Dean came to the hospital and discussed with me. "There are two ways. One is you can get the maximum compensation from him. Second is simply you can forgive him". I told " I don't want to do any harm to anyone. My God is powerful to give me whatever He likes. I am ready to forgive". I already understood that the driver is a poor man with eight children and family burdens. I have simply forgiven in the sake of God. The Dean told me " I will do the best for you". I heard this sound from God. I believe it; I am leading this bonus life by the power of that promise and love. After so many days of the operation, doctors removed the rods put in my hand without giving any anesthesia. The rods were taking out with force from the fresh meat and blood. Because of the high pain I was shivering. I saw the pain in the cross when nails went inside the fresh meat and blood.